Unfortunately, the days of lounging around on deckchairs or patio furniture with the smell of barbeques wafting through the air are long gone for this year. 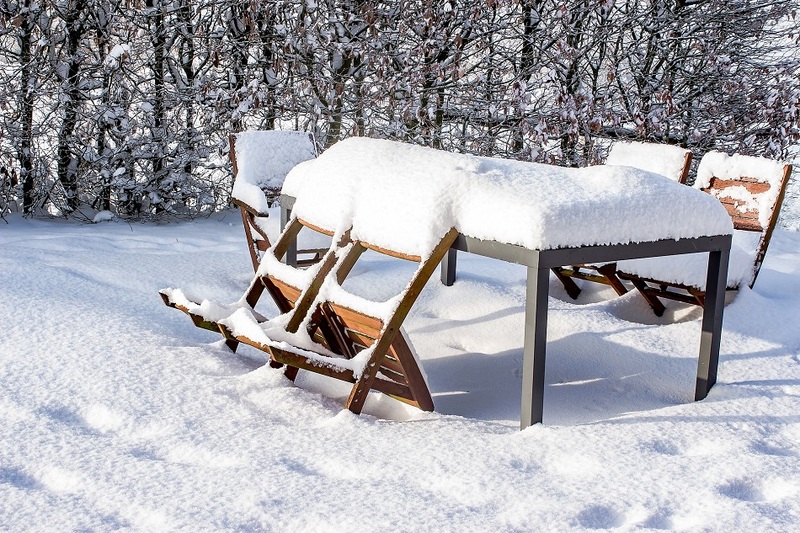 Instead of leaving those pieces of furniture outside to brave the weather, why not store them in a self-storage unit and protect them from any damage that might affect them during the weather of the winter months. Additionally, there’s a bonus for you when summer weather comes around again: no need to clean and wash furniture or scrub away at the BBQ to get rid of rust and dirt. Titan Storage guarantees clean and dry storage units that will protect your furniture from any damage or deterioration. Children seem to accumulate a plethora of outdoor toys and equipment as the summer holidays begin; the garden becomes less a place for plants than an extension of a playground. But, when winter rolls around, those toys can often get abandoned as children choose to play inside instead. Therefore, why not free up the garden space from clutter and store all the toy cars, paddling pools, slides, ball pits, bouncy castles, plastic play houses, and climbing frames. If any of those outdoor toys are plastic, they’re the perfect things to store since they will dismantle easily and can be wiped clean before being stored for the winter months. Bicycles are great fun during the summer months – they’re great ways to get around, good fun for adventures out into the countryside, and good for the environment. However, when the days get darker earlier and the weather gets a bit chillier, many people stop using them. If you don’t have storage space at home to keep them out of the way while there’s no demand for them, then storing them could be an excellent option. Storage provides a designated space for the bulky bicycles so that you’re not tripping over pedals or dodging them down the hallways. At Titan Storage we offer units of many different sizes so you can tailor your unit to fit exactly what you want to store and how big the bikes are. Take a look at our storage estimator to find the perfect unit for you. 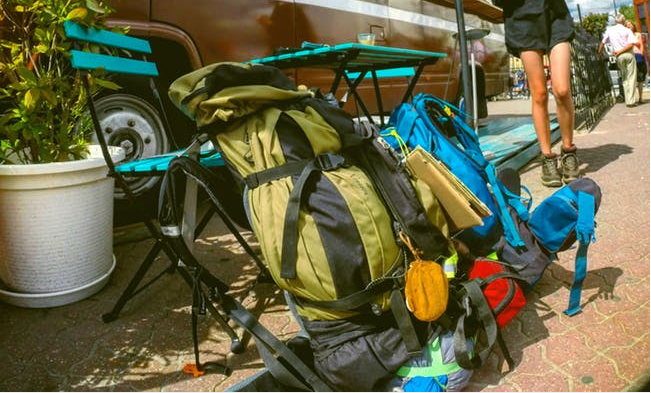 There have been a lot of festivals going on this summer and with them has come the need for camping equipment, wellies, wet weather gear, cooking equipment and a multitude of other items. Since the festival season is practically over now, it might be time to tuck those festival rucksacks and wellies away, fold up the tents and give yourself some more room in the house for the events coming up, instead of those that have passed. Make sure, when storing camping equipment and gear, that everything is free of dirt and is completely dry. Don’t be blue about putting everything away; by storing your items in a self-storage unit, you can be sure that when you come to use them again next summer, they’ll be in peak condition and ready for you to set off on adventures again. You may not have an entire summer wardrobe, but there are definitely going to be clothes and shoes that you won’t feel comfortable wearing during the colder months of the year. Similarly, there will be items that you take on your holiday, such as inflatable lilos and beach towels, that don’t have a use in winter. Make some space in your wardrobes and cupboards for your winter jumpers and shoes by storing away all of the holiday things that won’t be needed until the next summer, unless you’re planning on catching a little winter sun! Make things even easier and free up even more space in your home by storing all these items in the empty suitcases you won’t be using for a few months. Instead of taking up precious space at the back of wardrobes or tucked into nooks and crannies, a suitcase is the perfect holder to safely store clothes and holiday items, since that’s what they’re made to do. The only difference is that they’re going into a self-storage unit instead of the hold of an aeroplane. If you’re an adrenaline seeker or if you love the water, you may have some watersports equipment that needs storing over the winter months when it’ll be too cold to venture into the water. This could be anything from kayaks and canoes, wetsuits and life jackets, or even sails and oars. These items can be bulky and inconvenient to store in any home, especially the bigger items, and can often clutter up wardrobes or garages that would preferably be left free for other more important items for the winter months. Storing them in a self-storage unit removes the hassle of storage in your own home and also enables easy access should you feel the urge to head out onto the water during the time when they are stored. The storage units at Titan Storage are accessible 24/7 and you can store items for as long or as short a time as you need, so could even consider storing them year round to make access and storage a breeze. If you’re looking to store any items over the course of the winter months, check out Titan Storage. We have a range of different size units and will guarantee safety, cleanliness and security for all of your possessions. Get a quote and start storing with us today!